When it comes to smartwatches, the obvious first choice for many consumers is the Apple Watch, because they are already deep into the Apple ecosystem and owning such a connected device makes perfect sense. We find it hard to find a fault in that, but what about those sailing the high seas with the other big platform, Android? Samsung's lineup of smartwatches immediately springs to mind. Samsung hasn't updated its wearables in a while, making us all the more excited about the anticipated next entry, which is presumed by many to be either called the Gear S4 or the Galaxy Watch. The smartwatch hasn't leaked as profusely as we'd probably would have liked it to, but multiple rumors and leaks have given us lots of hints as to what to expect from the watch. Now, we've already summarized at great lengths what we expect from the wearable, but hey, it's hard to contain our anticipation. Thus, we decided to sum up all of the features in a handy list for you to explore. Samsung is extremely likely to adorn the upcoming wearable with its own smart assistant, Bixby. As per certain reports, there won't be a dedicated button to trigger the assistant; instead, it will substitute the S Voice interface found on the Gear S3 and previous Samsung wearables. Having Bixby on your wrist makes perfect sense from the standpoint of Samsung, which definitely wants to make its virtual butler a much more prominent part of their users' experience. In the same vein of the Gear S3 Frontier, S3 Classic, and Gear Sport, Samsung would likely want to keep its next wearable water-resistant. IP68 water-resistance rating is likely being targeted here, as it will not only make the device sweat-proof, but will also enable the gadget to be extensively used in certain types of sport, like swimming and recreational diving. Similar to the Apple Watch, the Galaxy Watch is expected to co me in two sizes - a smaller variant aimed at female users and a larger one geared toward males. As a refresher, the Apple Watch is available in 38 and 42mm sizes, making it easier for would-be customers to choose their preferred wearable. Hopefully, the Galaxy Watch would imitate this decision and allow for such a flexibility when it comes to size. According to rumors, the Galaxy Watch will feature a rotating bezel with an interactive sub-display beneath with that will be used to show useful, contextual information that's relevant to what you see on the main screen. Sounds just as cool and exciting as most tech in 2018 should. Nothing has been set in stone when it comes to the display of the Gear S4, but there's little to no uncertainty that Samsung will continue using OLED displays for its wearables. This type of display is perfect for wearables that often feature always-on display functionalities as OLED not only looks great thanks to its superb contrast qualities but also helps save precious battery juice. Battery life is one of the banes of wearables - the form factor simply prevents these from boasting a spectacular battery life. There are little ways to combat this, but Samsung could be on the right track with a rather interesting suggested feature of the Galaxy Watch - it could feature small batteries inside wrist watch itself, which would potentially improve the battery endurance of the gadget by a margin. Likely a small improvement, but an improvement nonetheless. It is unlikely that the Galaxy Watch would ship with Google's Wear OS (formerly Android Wear), which is patiently waiting for a flagship wearable to pick it up. 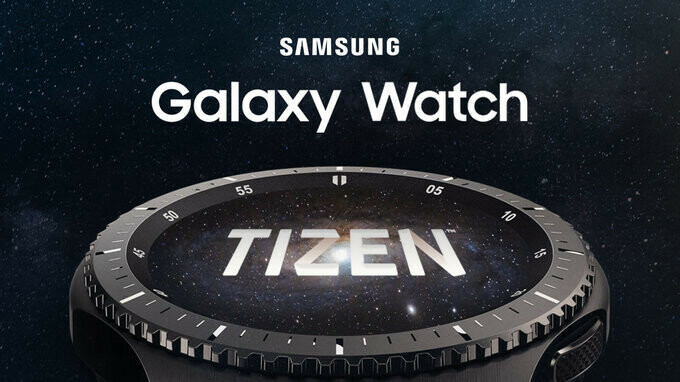 Back on topic, the Samsung Gear S3 bet hard with Tizen, helping establish Samsung's proprietary software as a viable alternative to either watchOS and Wear OS themselves. While the blogosphere seems entralled with the idea of a Galaxy Watch running Wear OS, this will probably never happen as doing that will essentially prevent Samsung from having its smartwatches its own way. In particular, Wear OS would prevent Samsung from utilizing the unique bezel control and achieving long battery life. You guessed it, many of the features of the upcoming smartwatch that we've been hearing about are mostly fitness-related ones. Word on the street is the Gear S4 will be sporting an even better integration with Samsung Health, which would surely come in handy (no pun intended) to all potential adopters of the wearable. The Gear S3 was already a great hardware extension to the software capabilities of the Samsung Health hub which is available for most smartphones, but... there's always room for improvement. To put things bluntly, we don't expect the Galaxy Watch to cost less than $349 for the very base model. This is the lowest price that we expect the wearable to carry, with prices naturally going up once you start to going up the ladder of options and versions. This will put it in the same ballpark as the Apple Watch and will definitely pit it against Cupertino's industry-leading wearable. It seems that the Galaxy Watch won't be officially unveiled alongside the Galaxy Note 9 and the reason for that is logical: Samsung would want to keep the two major announcements separated in order to eke out the most out of each new gadget. Admittedly, a Galaxy Watch revealed along with the Note 9 will steal some of the interest that would otherwise be wholly attributed to the handset. So, what's a more appropriate date for the Galaxy Watch to break cover? Why, IFA 2018, of course! Given that Samsung wouldn't announce a smartphone at the major trade show, the Galaxy Watch would have the full stage for itself. Presumably, the Galaxy Tab S4, the fourth-gen flagship tablet of Samsung could also make be announced at the same time. The only thing I wouldn't care for, would be the battery in the band. Limits that you have to use the band that comes with the watch. I don't care for the buckle type bands. I prefer the all metal all-in-one watch band. Give me blood pressure monitoring.